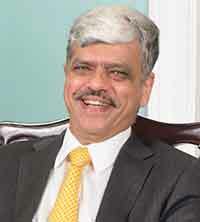 Abhay V. Udeshi, Chairman, Jayant Agro, is B.E. in Chemical Engineering (MS University of Baroda). Mr. Udeshi holds three decades of experience in the industry and leads the marketing and sales of castor oil and castor-based products. Recently, Mr. Udeshi is elected as President of International Castor Oil Association. Brief us about your business and the group as a whole? The promoters of Jayant Agro Group have been in this business since 1952. The company is one of the largest suppliers of castor oil and has the widest range of castor oil-based derivative products in the world. We sell more than 75 different products to over 70 countries across the globe. We have a focused Research & Development Centre, which plays an important role in achieving our overall vision. In 2002, Jayant Agro’s subsidiary - Ihsedu Agrochem Private Limited, acquired a crushing unit from Gujarat Agro Industries Corporation. In 2013, Jayant Agro and Arkema - a global chemical company, entered into a joint venture agreement to focus on manufacturing various industrial and specialty grades of castor oil. Through this joint venture with Arkema, which is the largest consumer of castor oil, Jayant Agro and its subsidiary Ihsedu Agrochem is consolidating their position in the castor oil market as a leading, consistent and reliable supplier to the world market. In 2013, Vithal Castor Polyols was established as a joint venture with Mitsui Chemicals Inc. and Itoh Oil Chemicals. This is now an Indo-Japanese-Korean joint venture between Jayant Agro-Organics, MCNS (Mitsui Chemicals Inc. & SKC Polyurethanes) and Itoh Oil Chemical. Vithal Castor Polyols manufacture castor oil-based bio-polyols having main applications in automobiles, furniture, and packaging. The partnership of the three companies, which share their own unique strengths to the table in India, where 80% of the world's castor oil is produced, will establish a stable supply base for a cost competitive bio-polyol. What is the product-wise revenue contribution of each of the products? The company has two segments – Castor Oil and Castor based specialty chemicals. Castor Oil contributes around two-third of the total revenue, which was over INR 2500 Crores in the year 2017-18 and about one-third of the revenue comes from the specialty chemicals. Which are the industries that consume oleochemicals? What is your take on oleochemicals going forward? Castor-based chemicals are used in a myriad of applications in across many industries such as adhesives, agriculture, automobiles, aviation, electricals, electronics, food, inks, lubricants, paper, plastics, paints, personal care, pharmaceuticals, telecommunication, etc. According to the marketing reports, the global oleochemicals market size is expected to meet USD 31.8 billion by 2025 exhibiting a CAGR of 5.2% over the forecast period. It is predicted to notice a change from petrochemicals to bio-based chemicals due to raising concerns regarding the unfavourable effects of petrochemicals on the environment. Increase in oleochemical manufacturing capacity in the Asian market, mix with its robust raw material unification, is the most fundamental explanation behind the remarkable reorganization taking place in the global oleochemicals. In the field of oleochemicals, we are the emerging star in contract research & contract manufacturing. In addition, we undertake research assignments in the field of oleochemicals and their applications. We have suitable facilities and qualified scientific professionals to carry out the R & D work in the field of oleochemicals, which enables us adding new product lines going forward in this dynamic market. Brief us about your geographical presence in India as well as abroad. Presently we have 5 units, which are located in Gujarat. Our Head office and Research & development centre are both in Mumbai. We export our products to more than 70 countries. Your clients basically belong to which industries/ segments? What is the ratio of domestic vs. exports? Our customers belong to various industries such as adhesives, agriculture, automobiles, aviation, electricals, electronics, food, inks, lubricants, paper, plastics, paints, personal care, pharmaceuticals, telecommunication, etc. Above 80% of our production is exported. Who are your peers in the industry? How are you placed against the peers? We are the leading manufacturer and exporter in the industry. Adani, Gokul, NK are our peers in the industry. How has the company performed in Q1? What is your outlook for FY19? Company’s performance in Q1 was satisfactory. We had a sale of ₹634 crores and Profit After Tax of 15.6 crores, representing a PAT growth of 22.8% over the corresponding quarter of previous years. The current trend should be maintained through the year, and the outlook is positive. Brief us about your R&D activities. Currently, Jayant Agro-Organics Limited has a Research & Development centre fully dedicated to castor and its chemistry, which is recognised by Department of Scientific & Industrial Research (DSIR) Ministry of Science & Technology, Govt. of India and is ISO 9001 certified. Our Research & Development activity allows us to fully utilize the benefits of the unique chemistry of castor oil and forms a backbone for future development and growth of the company. Where are your plants located? Do you have any further expansion plans? Currently we are unable to disclose much regarding the expansion. Our plants are all located in Gujarat. The company is continuously expanding in adding new products, and additional capacity. Brief us about your CSR activities. Jayant Agro-Organics Ltd. along with Arkema, a global leader in specialty chemicals and advanced materials; BASF, the world's leading chemical company and Solidaridad, an international civil society organization, came together for Project 'Pragati'. With this first-of-its-kind initiative globally, the companies are developing a sustainable castor framework titled 'SuCCESS' (Sustainable Castor Caring for Environmental & Social Standards). On May 2, 2018, the first 10 producer groups, representing 1,019 castor farmers were formally awarded certificates for their tremendous achievements in improving the sustainability of their farming practices. In addition to the “Pragati” initiative, our Company is involved in several projects involving the welfare of farmers, including one by The Solvent Extractors Association of India (SEA). Our company has also sponsored basic welfare of villages nearby to our plants by installing toilets, water fountains, health care drives, etc.